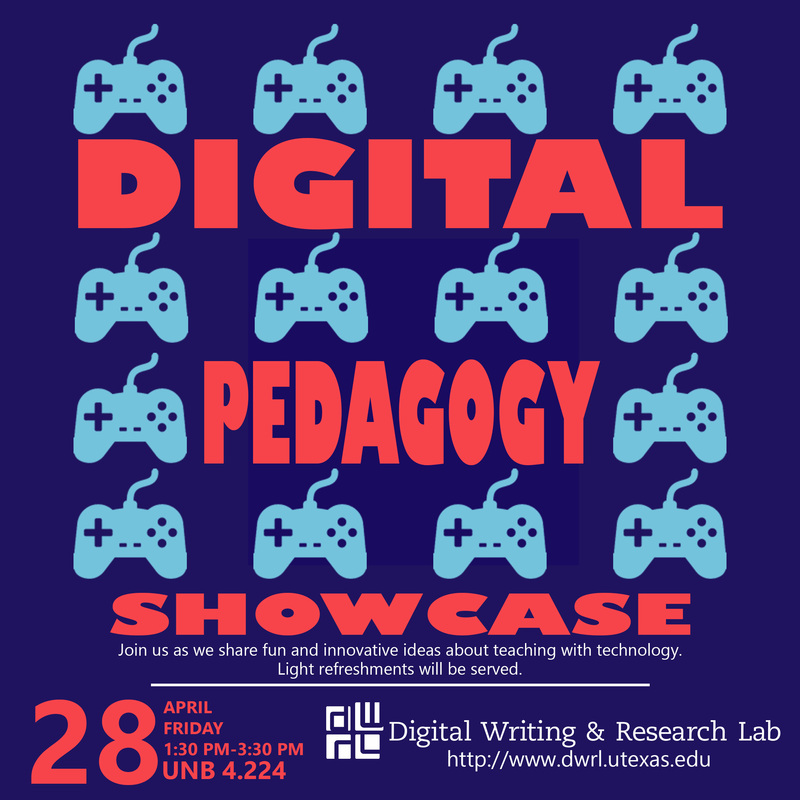 Please join members of the Digital Writing & Research Lab for the 2017 Spring Digital Pedagogy Showcase. What: A presentation of digital lesson plans and assignments, designed for writing courses and curricula by members of the Digital Writing & Research Lab. Pizza and beverages will be provided. Why: The incorporation of digital materials will strengthen any teaching portfolio, whether you’re applying for a teaching award or going on the job market. This event will introduce instructors and faculty to new digital tools and strategies for their writing (and writing-intensive) classrooms, and it will provide graduate students with an overview of the exciting work we do in the Digital Writing & Research Lab.